How to properly add new pick? In this post we will write example for pick with handicap, we will write what fields are required and how to add new pick without any problems. In previous posts you can read how to add new pick on frontend and backend. Administrator can select which tipster will post a pick, tipsters on frontend don’t have this option. 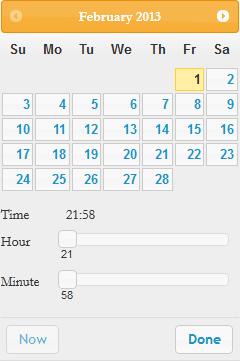 From calendar select date and time when game will start. Next fields are to add informations about sport, country and league. You can easily manage (add/edit/delete) sports, countries and leagues in their categories. Preview you can add over wysiwyg editor (there is default Joomla editor, but you can change it). The most important part is Bet type, you can select between Money line, Handicap/Spread, Under/Over and Other. When you select Money line option, new field (Pick) will show. Here you can enter name of team (example: Liverpool) or 1X2 or Home/Draw/Away. In this option will show 2 fields (Pick and Line). In field Pick you can enter name of team (example: Liverpool) or 1X2 or Home/Draw/Away. In field line enter number with – or + prefix. For example (-1) or (+12.5). Line and Under/Over fields will show when you select this option. Under line you can enter 2.5(example for soccer) or 156 (example for basketball). In field Under/Over just insert word under or over. When you select other option only Other pick field will show up. Here you can enter whatever you want. Example: 1st red card Liverpool or Exact result 0:0 or Arsenal clean sheet. At the end you have to select bookmaker from dropdown, enter odds and stake (both fields are required) and select if pick will be enabled or disabled. The extension looks very promising. I have a few questions in regards to the functions capabilty use for horse racing ? I’m in the US and see that this is basically geared for European tipping and wagering interest. I would not understand how selecting a bookie woould be of need here. I also would not understand how to have a tipster list his or her horse selection. As you know there are multiple tracks and multiple races on a race card ? Is it also possiible to let me know the current cost in US currency. Thank you for your assistance. Yes you can use for horse racing, if there are fields that you want to change/remove/add please contact us.